Until now, countries have found it difficult to maintain visibility over the availability and usage of essential medicines at the primary healthcare level. In addition to this, lots of people want to know all sorts of other things about those clinics: does the fridge work? How many staff are attending work each day? Do they have clean drinking water? This information changes over time and it’s important for, say, pharmacists to have the most up-to-date data, so they know if the medicines they are sending are going to be stored and used properly. mSupply© is used in dozens of countries, for procurement, warehousing, distribution and dispensing of essential medicines. In 2016, Sustainable Solutions released a mobile version of mSupply. mSupply Mobile gives near real-time visibility of medicines and consumables in clinics, whilst allowing nurses to issue stock and place orders electronically. This app is now open source. A new data collection app – Tupaia MediTrak can also collect data on medicines availability (where mSupply Mobile is not being used), as well as hundreds of other measures that record the status of a clinic’s staff, procedures available, facilities and medicines. The data captured by Tupaia MediTrak is stored on a cloud-based server, and is also available to mSupply servers already located in the region. The Tupaia project aims to provide greater visibility of essential medicines and other services at the primary healthcare level. To this end, and extensive data collection project is being undertaken over 2017 to collect information about hundreds of facilities. This is then being combined with information coming from mSupply and mSupply mobile. 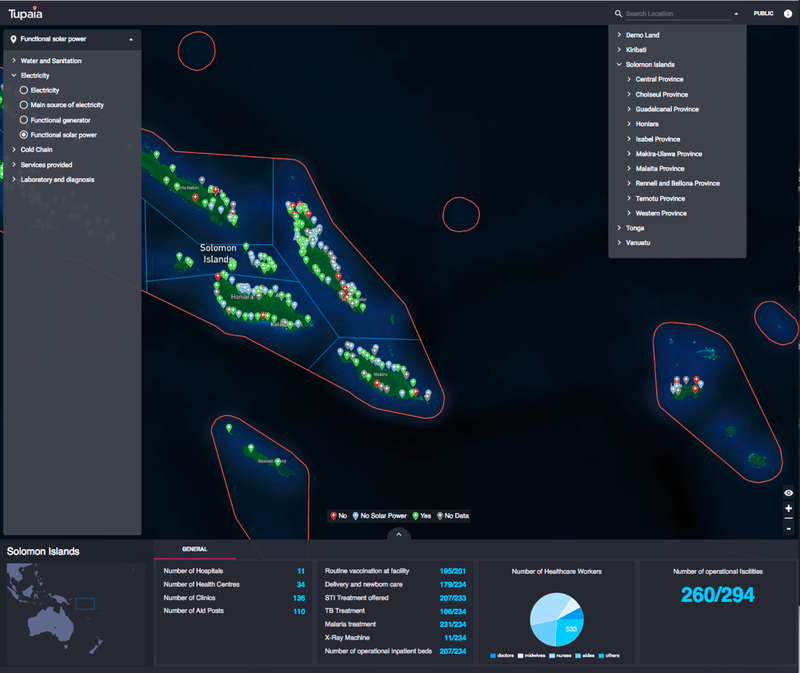 You can see a demonstration version of Tupaia here – we’re pretty excited. There is limited public access- if you are part of the healthcare system in a particular country please contact info@tupaia.org to arrange a user name and password.